1. NEW YORK - Online Sales Are 3.6% of Sotheby’s Auction Total - Below is a transcript of Tad Smith’s remarks on Online Sales during the Second Quarter Earnings call. As Smith points out, online sales was a strategic initiative for Sotheby’s. But looking at the numbers, one has to realize the market segment has a very long way to go. For the first half of 2016, Sotheby’s aggregate auction sales were $2.5bn. At $90m, online sales represent 3.6% of total auction sales for Sotheby’s. And that is after the dramatic 27% growth of last year. 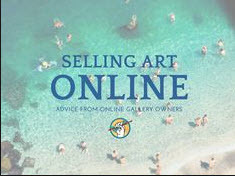 Online sales will have to grow farther and faster than that to amount to a meaningful portion of Sotheby’s sale. Nonetheless, during the Q&A on the Q2 Earnings call Smith outlined a long-term thesis on the firm that looked toward lower customer acquisition costs through the development of a broader web video portal and an increase in online sales. Smith went further to claim that consignors are now approaching the firm to ask about online-only sales capabilities which was not something previously seen 17 months ago. •Online sales in excess of $90 million were achieved in the first six months of 2016, a growth rate of 27% versus the same period of 2015. •We have seen a 54% growth in the number of lots sold online, accounting for 18% of total lots sold globally by Sotheby’s compared to the same period last year. •The behavior is global and in nearly every category – London, Paris and New York have each held sales that sold over 25% of lots to online buyers. •We continue to work with our network of e-commerce partners to access the largest audience of bidders and buyers in the market. •We remain at the forefront of social media, with the industry’s largest audience, embracing the latest trends including Facebook Live, which has driven tens of thousands of views to live streams about our auctions. •We also recently announced a sale curated by a major Korean pop star and collector with a short video that garnered more than 3 million views across social media channels in one week. •As a result of our efforts, registration for our auctions on Sothebys.com is up 57% compared to the same period last year. •Finally, as important as these innovations are to our existing business, these new technologies will be key to securing our desired position in the middle market. •Throughout the month of July, we presented a series of five online-only sales – at a time when historically the company, and our engagement with clients, was particularly quiet. •We offered a range of property – from Prints to Books and Contemporary Art – and the results were encouraging: • We had nearly 1,000 clients register to bid, an average sell through rate of 79% (including two sales that were 100% sold), and 33% of the buyers new to Sotheby’s. •The top selling work of the series was Untitled [Four Works] by Bosco Sodi that sold for $125,000 in our Contemporary Online sale to a first time buyer at Sotheby’s. •Looking ahead, we recently announced an online-only sale of jewelry by designer Tony Duquette that closes on August 30th, and we are currently filling out a full schedule of sales for the fall season.